Co-authored by Paula Miquelis, Senior Project Manager, & Laura Allen, Founder, at Gone Adventurin. Every company's supply chain ends with a human being's life. And the people who need a company's services, use its products, or are on its payroll rely on one planet. And here is something most can agree on: Our planet is suffering. The list of societal and environmental problems seems endless. Hunger, poverty, inequality, war, water scarcity, climate change, and so on. Within these wicked problems may lie a company's most compelling and profitable driver: A global purpose to save the world. The world's companies will play a vital role in solving these complex human problems. Businesses have the collective ability to reach billions of people and exert tremendous spending power. This power positions them to be key players in restoring our planet. Embracing this higher purpose is not only good for the planet, it may be an essential business strategy for the modern organization. President & CEO of Novo Nordisk, Lars Rebien Sørensen, warns, "In the long term, social and environmental issues become financial issues." Embracing a long-view and awakening a compelling global purpose now may sustain the life of the business itself. Purpose has become the latest business buzzword. So it is important to be clear on its enduring and powerful definition. Quite simply, purpose is "...the reason for which something exists." Your company's purpose is not a mission statement, a tactic, or a goal. It is quite literally a company's guiding reason for existence on the planet. The company's job is to justify that reason every day. A reason for existence doesn't fade with time or change with market conditions. Purpose taps into people's psychological desire to make the world better and to do good. Purpose permeates every behavior and thought in a company. And a good purpose is a reason worth committing to that inspires service to the greater good. A company's purpose has to be more important than the company itself. And when companies embrace a guiding global purpose that seeks to better the world beyond their financial returns, success follows. Because a global purpose drives the people who drive the profit. Having a global purpose is good business. In Built to Last, Jim Collins found that companies with a higher purpose outperform the market by an average of six-to-one. Those companies also experienced growth rates three times that of their competitors. The economic power of a higher purpose can be found when studying a company like Unilever. Unilever's brands with a clear and communicated societal purpose - like Comfort, Dove, and Ben & Jerry's - are growing faster than the rest of the portfolio. 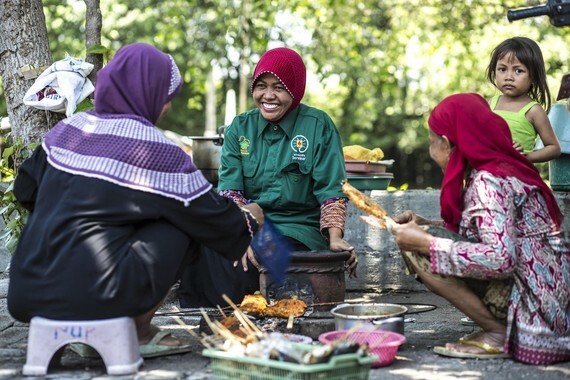 Unilever CEO Paul Polman said, "Our sustainable living brands are growing 30% faster than the rest of our business and delivered nearly half our total growth in 2015, our latest figures show." Former Procter & Gamble Marketing Director Jim Stengel found similar results in his study on the relationship between a higher purpose and market growth. Stengel's research demonstrated that purpose-driven brands perform ten times better than others in similar categories and grow at significantly faster rates than the overall market. Why all this profit and growth? Ultimately it comes down to human psychology. From a social science perspective, the effect of purpose on both employees and customers is not surprising. When people see their work as serving the greater good they are more likely to be engaged, committed, and productive. A sense of global purpose has been found to be one of the most powerful psychological motivators for both employees and customers. Ultimately, people want to believe in something that's bigger than themselves. People and organizations who believe in and prove their reason for existence inspire more loyal people to join their movements and invest in their products. In numerous studies, like those published by the firm Imperative, a sense of purpose is ranked as the most significant factor in job satisfaction and quadruples the likelihood of being engaged at work. And by 2025 nearly 70% of consumers and employees will identify with the Millennial generation. A recent survey by Deloitte found that an overwhelming 75% of Millennials indicated that they were more likely to do business with or work for a company that exists to better society. And customers want to be a part of changing the world, too. People are psychologically drawn to products and services that align with their beliefs about the way the world should and can be. Simon Sinek, in his 2009 viral Ted Talk implored, "People don't buy what you do. They buy why you do it." He is proving to be right. MANE Flavor and Fragrance Manufacturer offers an inspiring case of how a global purpose can transform a business. MANE is one of the world's leading flavors and fragrances companies and produces flavors, fragrances, and ingredients for beverages, biscuits, confectionery, dairy products, and savory food applications. What does it mean for a flavor and fragrances manufacturer to drive profit through a global purpose? For MANE it means creating sustainable sourcing in its markets in emerging countries. MANE realized that 70% of worldwide raw materials are produced by smallholder farmers, yet millions of those farmers remain impoverished. Poverty among smallholder farmers is one of the most pressing social issues in developing countries and when these farmers are not empowered, they cannot grow enough high quality raw materials. Additionally, MANE's clients have started to put pressure on the company to create transparent value chains. Poverty among smallholder farmers constitutes one of the world's most pressing social issues. Now it's at the core of MANE's purpose too. In 2015, MANE created sustainable sourcing initiatives in Nepal to develop a market of a new species of pepper called Timur. The challenge was to partner with grassroots and local NGOs to empower farmers on the ground through workshops and trainings to grow better quality raw materials. The ultimate goal was to help remote pepper farmers secure a more sustainable living. Beyond simply having a business goal, MANE decided to immerse its employees in this global purpose and use storytelling to involve its stakeholders in this global purpose. The results were transformational. Not only did the project create an entire market for the Timur product and help the economy of Nepal to grow, MANE won the first communications price at the World Perfumery Congress garnering hundreds of thousands dollars worth of free public relations promotion. Watch MANE's inspiring sustainable sourcing initiatives here. MANE proves that filling a societal need and profit are not mutually exclusive. In fact, purpose can drive profit. In our fast-paced and results-oriented marketplace, many company leaders simply don't think they have the time or resources to invest in purpose - or they don't conceptualize their industry as particularly "world-saving." But every company does and can have a compelling global reason for existence. The key for leaders is to begin discovering this purpose, strategizing around it, and then telling the story to its stakeholders. 1. Identify your company's problem. What is the world problem that your company exists to solve? This problem can become your purpose. 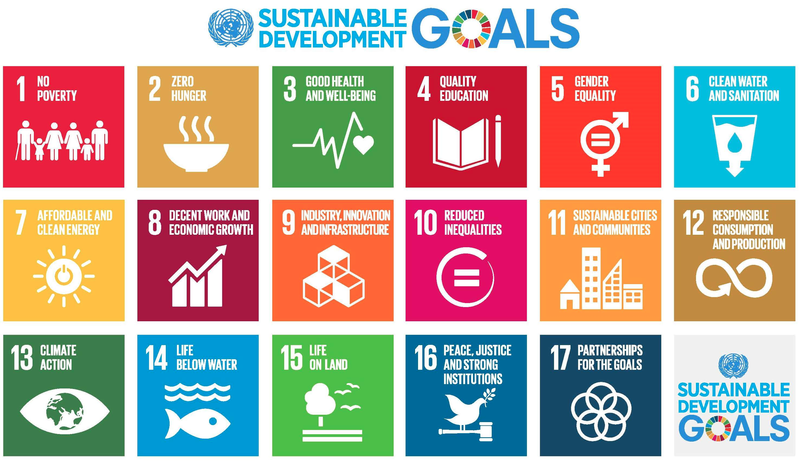 A great place to start is by reading the United Nations Sustainable Development Goals (SDGs) report and and facilitating discussion in your organization around the 17 identified key topics below. 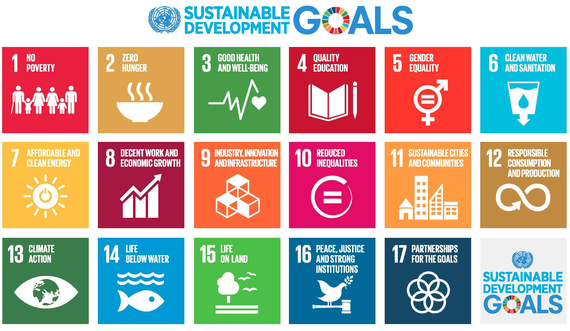 Not only do the SDGs provide a great framework for finding a compelling global purpose but they are also a great and credible way to communicate about it. They aim to inspire business leaders to think deeper into the many issues that plague the world; from hunger to gender inequality. "The seventeen Sustainable Development Goals (SDGs) are our shared vision of humanity and a social contract between the world's leaders and the people. They are a to-do list for people and planet, and a blueprint for success." said Ban Ki-moon, the former UN Secretary-General. 2. Authentically communicate your global purpose. Human beings rely on stories to make sense of our world and so do your customers and employees. Telling the story of how your company helps to deliver your global purpose can generate stakeholders' emotional commitment to your company and brand. Consistently strategize: Which of our products or services can make the world a better place; and how is that a business opportunity? The Lipton tea brand offers a powerful example of engaging stakeholders in their purpose. Lipton decided to intentionally strategize about what they wanted their consumers thinking about when they drank their morning tea. Lipton wanted them to feel that their tea was more than tea - it was serving the world. By telling the story of the tea farmers working in beautiful sustainable plantations and connecting them to the partnership of Lipton with one of the most impactful forest NGOs, Rainforest Alliance, Lipton gives consumers a world-changing purpose. Learn more about Lipton's global purpose here. 3. Start seeing social and environmental issues as business opportunities. Just as the MANE company example shows us, global needs can also be business opportunities. Another example comes from the food industry and answers the question: What is the future of food? For Caleb Harper, director of the Open Agriculture Initiative at (MIT), the future of food is not a disaster as many pundits would have us believe, it's a business opportunity - especially for tech companies. Caleb wants to change the food system by connecting growers with technology. Caleb said, "With the right tech, urban agriculture could turn basements, warehouses, walls and skyscrapers into farms." Re-framing critical issues or "problems" as opportunities can be powerful. Your company's purpose is already out there in the world. Identifying it and building your company around it pays. How can tackling social and environmental issues grow your business - and save the world? Gone Adventurin is a social enterprise - based in Singapore and operating across Asia - that helps companies to grow through social and environmental impact. The organisation has been tackling different issues from waste recycling for consumer goods companies to sustainable supply chain or water scarcity. The team has been working with many different companies such as Unilever, Procter & Gamble or Danone. Zach Mercurio is a consultant, speaker, and educator who builds purposeful organizations and empowers purposeful people to better our world. Learn more here.